Oak & Associates’ consultants offer a wide range of insurance consulting services to firms across the country. Our services are designed to bring out the optimum performance from you, your employees and your business. Our experienced consultants will work with you to accelerate and maintain the success you have earned. Since 1984, Catherine, Founder of Oak & Associates, has been a management and financial consultant. She gained her experience as Senior Consultant for two of the largest consulting firms in the insurance industry, Russell Miller, Inc. and Marsh/Berry. Her experience ranges from working with small firms to the largest national firms and companies. She began her career in 1978 in marketing and underwriting for St. Paul Insurance Co. and later worked as Director of Education for the Independent Insurance Agents of Oregon. Catherine was also a Management Consultant for the consulting division of Fireman’s Fund. She has spoken extensively throughout the US, Canada, New Zealand and Australia on financial and management topics for associations, companies, national brokers and other organizations. Firms today are faced with a continually and rapidly changing business environment. Because of the effort to just keep up, owners and managers often find it difficult to be proactive and have an organized approach to managing the day-to-day activities, determining the strategic direction, planning for growth and developing the perpetuation of the business. Also, when a unique opportunity presents itself, such as a merger or acquisition, owners and managers are often not aware of how to analyze or approach the situation to maximize benefits and avoid the common pitfalls. Business and management consultants can assist owners and managers in focusing on what is most important and bring order to chaos. An outside opinion can open a new perspective on old problems. Also, an experienced consultant can save time and money when looking at a business combination, sale or merger. A third party can ask the tough questions and get to the heart of the issues with a dispassionate approach. No one method or set of methods is right for all situations. It takes a qualified, experienced expert to interpret the information correctly and arrive at correct and defensible results. 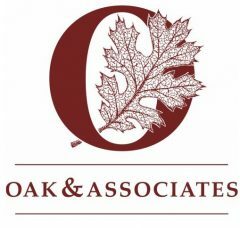 Oak & Associates is a highly responsive, hands on, personalized consulting firm. We are in business to assist our clients in improving their value over time and in consummating effective business combinations, when desired.